An incredibly useful reference that I have a feeling was written just for me. Will Giles gives detailed descriptions of 1500+ exotic plants along with notes on how well they handle subfreezing temperatures. Because the climate of the UK is so similar to our climate in Seattle, this book works well for me whereas someone living in a hot-summer climate may find this book less geared toward them. This book contains all the plants you need to have a year-round tropical oasis in your backyard. Dan Hinkley brings you to the most remote places on earth in search of plants you've never seen before. His detailed journals are published alongside descriptions and pictures of previously uncultivated plant specimens. Often in high-altitude tropical locations, native flora includes hardy yet still tropical-looking schefflera, holboellia vines, jasmine, tetrapanax, and star anise (to name a few). If you're looking for rare and unusual perennials, there is also a book on that in the same series. Some day, he might write a book on trees. In the meantime, there's Grimshaw & Bayton's New Trees and Sean Hogan's Trees for All Seasons. 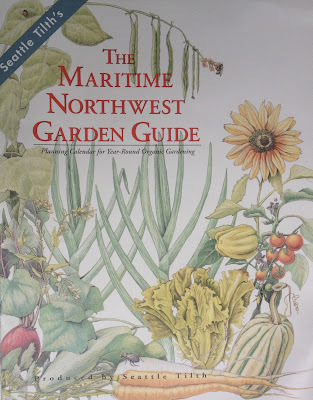 Take all the information you would ever need to know about growing organic veggies in the Pacific Northwest, distill it into a single book, and this is the result! As someone who is progressing from beginning to advanced, I can confidently say this book works well for all types of vegetable gardeners. One key to successful vegetable gardening is knowing when to plant what, and the monthly guide in this book is the ultimate reference.